Los Alamos Daily Photo: Time to Adopt a New Furry Creature? Time is this month's theme on City Daily Blog this month. Maybe it's time to visit the animal shelter for a special gift? 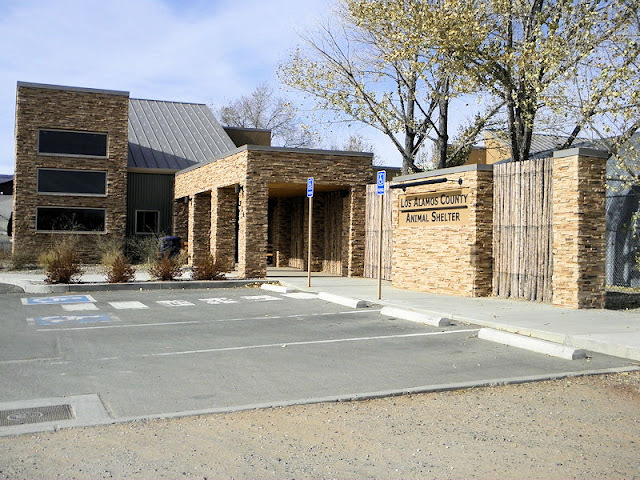 The new Los Alamos County Animal Shelter has many pets for adoption. WOW is your shelter nicer than ours by far! Ours is a little depressing to be around even before you go inside. Looking at the pictures from the link, it looks at least like they get light in there and it's clean. My husband worries every time I go to our shelter that I'll come home with another pet. If we had the room for it, I surely would!